Rory and Sadie have never had a chance, but maybe this Christmas will bring the miracle they're looking for. Loved this story! It's a fantastic story of going home, facing the past as hard as it is, and finding that one person who has always known and loved you no matter what. Rory and Sadie are great characters and seeing them get their HEA was awesome. Definitely put this one on the must read list. I highly recommend it. Jane is at the top of my favorite authors! I read every book I can get from her. This story line will get to you. It is a very deep plot in this book. Rory is a bull rider and looks for a lady who follows him. Sadie follows Rory but leaves before he can find her. Rory had been stomped by a bull and has come home. They meet finally in Marietta. He wants to stay with Sadie. She has lost her mother and wants to be a single mother. There are a lot of tough pieces between both of them. Rory had lost some of family. Be prepared! Major Spoiler! I couldn't put this book down. I would recommend this book for anyone. If you haven't read any of Jane's books you should give her a chance to fall for her! You should choose to check this book for you. Don't let this was get away! Enjoy reading this story! 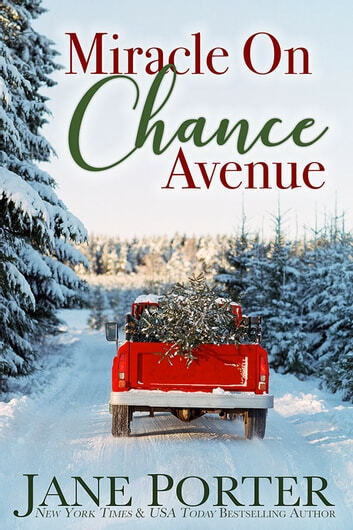 Miracle on Chance Avenue (Love on Chance Avenue Book 2) by Jane Porter This is Rory Douglas and Sadie Mann’s story. Oh my goodness! Author Jane Porter outdid herself with this book. I loved Rory and Sadie’s story! Rory and Sadie’s characters were so much fun. I felt a connection to them from the beginning to the end of the story. I wish they were real people. Rory and Sadie would be a neat couple to meet. This story was a beautiful, emotional, passionate, and a heartwarming romance. Their story will stick with me for awhile. Rory and Sadie’s story is a must read! I voluntarily reviewed an Advance Reader Copy of this book. 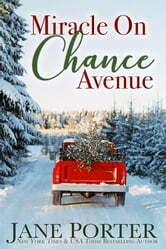 The Miracle on Chance Avenue is a fun, enjoyable and fast read. Rory and Sadie are both well written and extremely likable characters. Their relationship was a little bit insta-love on Rory's part, but not to the extent that it made their romance seem unbelievable or even unlikely. I think Rory just recognized a good thing when he found it. Sadie did seem a little borderline fruit loops in the beginning but that impression got quickly left behind once I got into the story a little bit. Overall, this is a very enjoyable romance with well written main and secondary characters. I will definitely read the first book in the series now and any future books in the series, as well. I would recommend this book to anyone who enjoys contemporary romance, especially western romance fans. I received and ARC in exchange of an honest review.